Whilst I have made every effort to ensure that the information and advice published on these pages is reliable and makes proper reference to correct safety procedures, I cannot be held responsible for any injury, damage or loss resulting directly or indirectly from the reader implementing or relying on this information contained in this web page. If you feel that there is incorrect information here please let me know. 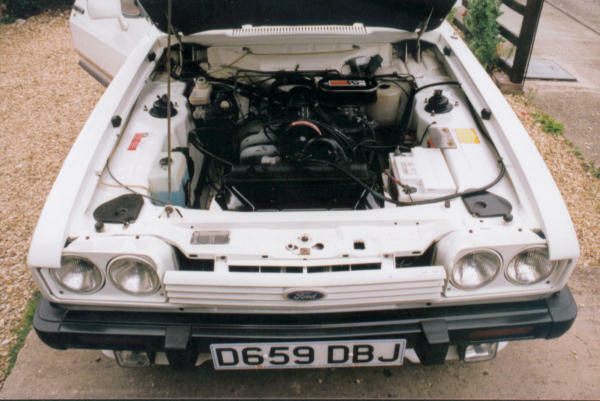 A lot of this information was obtained from Burton Power who specialise in performance Ford parts and accessories. Camshaft Fitting Camshaft Timing Engine Modifications Capri Engines Weber DCOE Carbs 6 Pod Dash Conversion Rolling Roads Suspension Modifications Braking Systems Oil Systems Go!